On this date of Mar 7 in the year 1944, one of the greatest kickboxers ever was born! The one and only, Joe Lewis, would’ve 71 years old. He passed on Aug 31, 2012 despite a malignant brain having been removed in July 2011. 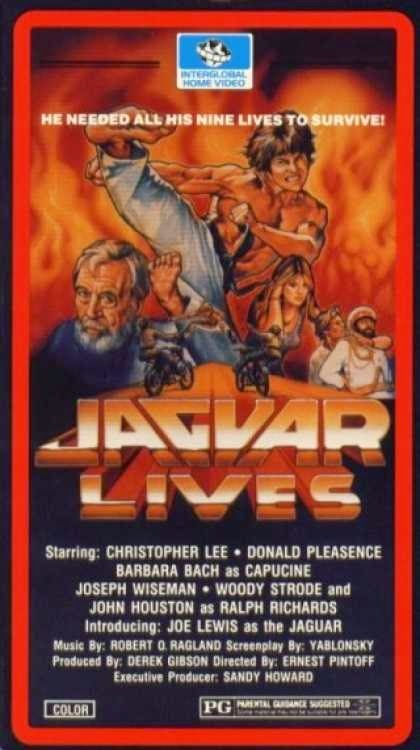 I’m posting the full movie of Jaguar Lives! in his honor. Happy 71st Birthday Champ! Enjoy! Joe Lewis plays “The Jaguar” and is a secret agent who battles an international drugs ring. This film features four actors who were in James Bond films prior to this movie: Joseph Wiseman played the title role as the first Bond villain Dr. No; Donald Pleasence played Bond's chief nemesis Ersnt Stravo Blofeld in You Only Live Twice. Christopher Lee also played a Bond villain as the title role The Man with the Golden Gun, and Barbara Bach played the main Bond girl Major Anya Amasova in The Spy Who Loved Me. Final cinema film of Joseph Wiseman. Look for Anthony De Longis as Bret Barrett.